The Karl May Museum was initiated by Karl May’s second wife Klara (1864-1944). Klara May wanted to create a worthy memorial for her husband after his death, that would link May’s life and work with the cultural riches of the people he wrote about. Here you can learn more about the changeful history of the Karl May Museum. After Karl May’s death, Klara May became his sole heir, subject to a stipulation in the will, that the assets be used to establish a foundation for young authors. This was finally legally confirmed on 5 March 1913. Shortly afterwards, on 1 July 1913, the “Publishing House of the Karl May Foundation” was founded by Klara May, May’s former publisher Friedrich Ernst Fehsenfeld (1853-1933) and a lawyer friend from Bamberg, Dr Euchar Albrecht Schmid (1884-1951), for continuous publication of Karl May’s works. In 1915, it was renamed “Karl-May-Verlag” (Karl May Publishing House). However, besides creating the foundation and publishing house, establishing a Karl May Museum remained a matter close to Klara May’s heart. When she got to know the Viennese circus artist Ernst Tobis (1876-1959) – better known under his stage name of “Patty Frank” – she finally succeeded in turning this vision into a reality. Since his youth, Patty Frank had been fascinated by Karl May’s adventure stories and in particular by the indigenous cultures of North America. During his life, he assembled a comprehensive collection of Native American art works and everyday items. On becoming acquainted with Klara May, he formed the wish to make them available for a museum dedicated to the famous author. 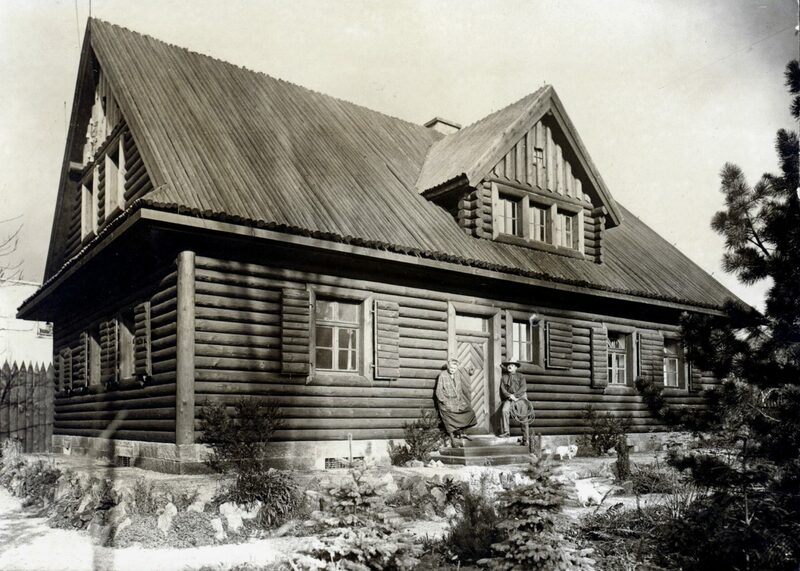 In 1926, Klara May finally purchased Patty Frank’s entire collection and had a building modelled after an American log cabin built in the garden of Villa Shatterhand, which was to serve as a museum and also a residence for Patty Frank. In return for transferring his collection, he was appointed as administrator and first director of the museum. 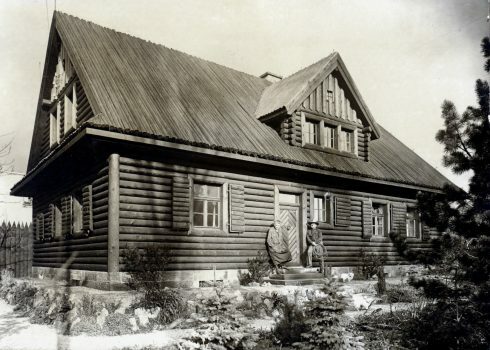 On 1 December 1928, the Karl May Museum opened in the Villa Bärenfett log cabin, named after a house in Karl May’s tales. It featured an ethnographic exhibition on the material culture of the indigenous peoples of North America. The death of Klara May in 1944 and the end of the Second World War meant major changes for the Karl May Museum. First, the Karl May Foundation inherited all of Klara May’s shares in the Karl May Publishing House, and became sole owner of Villa Shatterhand and the Karl May Museum. However, the new socialist regime considered Karl May and his Christianity-dominated works as obsolete for the socialist educational ideals, and fundamentally rejected the author, who was viewed as a bourgeois with nationalist tendencies – his works had been edited accordingly to comply with Nazi ideology in the 1930s. The Karl May Foundation lost its legal independence, and was integrated in the “Collective Foundations of the Dresden District” from 1952 on. All attempts by the Karl May Publishing House to obtain a licence for further production activities were rejected by the socialist authorities. As a result, Dr Euchar A. Schmid’s sons had been working on re-establishing sales operations from Bamberg from 1951 on. In 1959/60, the publishing house transferred its operations entirely to there. Much of Karl May’s literary estate and almost all furnishings of Villa Shatterhand were also sent there. The ethnographic collection left in Villa Bärenfett, Radebeul, was subjugated to the State Museum for Ethnology in Dresden in the early 1950s, and was redesigned accordingly to reflect the socialist educational principles of the GDR. In 1956, this was accompanied by renaming of the Karl May Museum to “Indianer-Museum der Karl-May-Stiftung” (The Karl May Foundation’s Indian Museum). For this purpose, the collection was restructured by employees of the Museum of Ethnology, and the non-American objects were removed to the depots of the Japanisches Palais (Japanese Palace) in Dresden. It was not until Karl May was re-evaluated by the state authorities in the early 1980s that the Saxon author began to be rehabilitated in the GDR. In 1984, the museum regained its original name “Karl May Museum”. After Karl May novels were printed by the “Neues Leben” (New Life) state publishing house again for the first time, the Karl May Foundation also regained its independence and legal capacity again in 1985 by spinning off from the collective foundations. On 9 February 1985, Villa Shatterhand was opened to the public with an exhibition on Karl May’s life and work. This exhibition was extended comprehensively by buying back Karl May’s mobile estate from Bamberg in 1995. Since then, the original rooms and Karl May’s valuable library in Villa Shatterhand have also been accessible to the public for the first time, in addition to the ethnographic exhibition on the indigenous cultures of North America in Villa Bärenfett. We are currently working hard to expand and redesign our museum as part of our “Vision – New Karl May Museum”. You can learn more about this here.